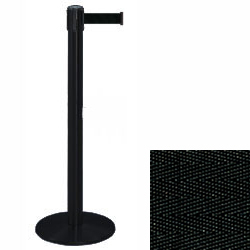 This black retractable tape stanchion has a simple design that makes them a great choice for restaurants, waiting areas, dining halls and ticketing lines. 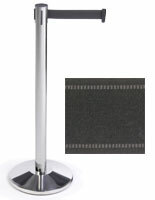 Each post is made of durable metal and they feature a sturdy weighted base for stability in busy environments. 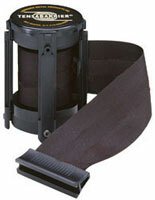 In addition, the retractable tape stanchion features a long 13' belt for assisting with crowd control. 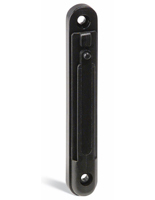 This type of stand has a 3-way receiver top for connecting to three other poles. 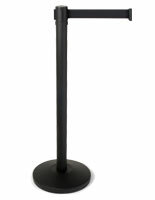 The stanchions weigh 24 lbs. 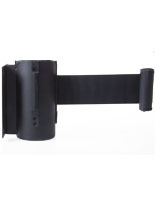 and their neutral black finish will fit in any interior.